(BeWellBuzz) Food is the key ingredient for a human being to survive, but survival isn’t everything unless you combine it with healthy survival. To stay fit and healthy, we need to consume foods that are rich in nutrients that are good for our body and mind. Why Do We Need Bone-Building Foods? Bone building is a lifelong process, and if you take action now, you can definitely reach a sturdy bone old age. A person’s bones are the gateway to live long and strong. 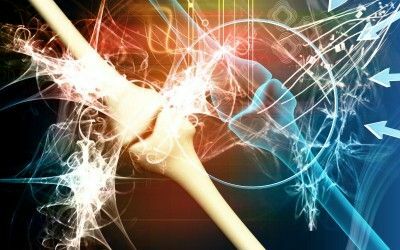 Strong bones guarantee a healthy lifestyle, and less joint pains as we grow older. 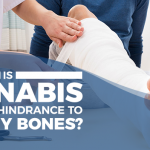 However, bone strength can’t be achieved overnight, nor can you take some medicines and realize that your bones have automatically grown stronger. 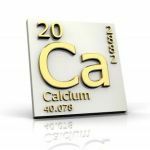 Calcium: Did you know about 70% of the bone is made up of calcium phosphate? During the early stages when the bones are developing, if calcium intake is insufficient, the bones may never reach full strength or peak bone mass. Calcium aids the development of their bones and bone mass in children. 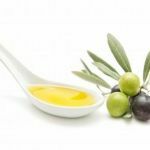 Manganese: Manganese also plays a role in your bone health, and it has been shown that supplemental manganese may offer additional protection against osteoporosis. A research study by Journal of the American College of Nutrition showed that a supplement combining calcium, copper, manganese and zinc was more effective at reducing spinal bone loss than a supplement that contained only calcium. Vitamin D: While children need vitamin D to build strong bones, adults need it to keep bones strong and healthy. Vitamin D is known to increase the absorption of calcium. Our bodies contain a precursor of vitamin D, which is converted into active vitamin D when we are exposed to sunlight. Vitamin K: Vitamin K is often overlooked as a bone builder and heart protector. According to medical research by Vitamins and Fine Chemicals Division, Human Nutrition & Health, Switzerland, Vitamin K can not only increase bone mineral density in osteoporotic people but also actually reduce fracture rates. Magnesium is another important part in healthy bone equation as it balances the calcium in our bodies. Silica is also vital as it keeps calcium from developing in areas it should not be, like arterial walls, and assists with bone collagen. For strong bones and healthy survival, here are the 6 key foods which you must include or at least try to include in your diet. 1. Seeds: Seeds are the best and the most natural way to ensure your body remains healthy and your bones sturdy. Seeds contain the key ingredient: magnesium, which is very good for bones especially pumpkin seeds. About ¼ cup of pumpkin seeds will give your bones 50% of your daily requirement of magnesium and manganese. Magnesium also regulates parathyroid gland, which is the primary organ that controls bone mineralization. The best thing about seeds is that they are very light to eat. You can eat them any time of the day. They are quick to cook and taste amazing with sauces. 2. Nuts: There are only few people who doesn’t injure or break their bone in their lifetime. Nuts are one of the fundamental constituent to make bones strong and sturdy after they have been rendered weak by an injury. Bone cells also break down and build up every day as part of their natural process and walnuts help in keeping the bone structure constant. The reason being – walnuts are rich in alpha linolenic acid. So, next time before going to your office or anywhere else, make sure to put some of the nuts in your pocket as a snack instead of buying donuts! Don’t eat more than one ounce – about 1/4 cup or you might start seeing those scales go up on the weight machine! 3. Bananas: Bananas are particularly good for our bones as they contain a high concentration of tryptophan, a building block of serotonin. Another important nutrient that comes from bananas is potassium, an electrolyte that helps prevent the loss of calcium from the body. In fact, one banana packs a day’s worth of potassium, and its carbohydrate content speeds recovery after strenuous exercise. 4. Tomatoes: If you’re a tomato freak, then you will never find weakness in your bones. Tomatoes are great at maintaining the natural muscle of bones. All types of tomatoes such as cherry tomatoes, grape tomatoes, Roma tomatoes, on-the-vine tomatoes will give you the same result. 5. Green Leafy Vegetables: Spinach is rich in Vitamin K and it has been proven to bolster bone-mineral density in the human body. Green leafy vegetables like Kale and Collards contain high amounts of calcium, which is why they are very good for building stronger bones, teeth and reduce your overall risk for osteoporosis. 6. Leeks & Artichokes: Leeks are full of bone-bolstering thiamine, riboflavin, calcium, and potassium. Artichokes contain more bone-building magnesium and potassium than any other vegetable. Apart from these foods, exercise is also recommended for increasing calcium in your bones. Don’t drink a lot of alcohol or soda as they destroy bones like dust. Bones are an important part of one’s body. 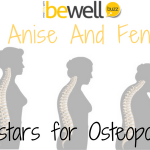 It is especially important to take care of them these days because of the rising rate of osteoporosis amongst the older generation. Surprisingly, osteoporosis doesn’t start in old age but begins in the young age of a person which means that you have to take care of your bones from your childhood to your old age. 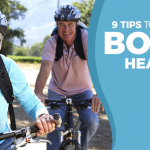 If your bones function properly, you can prevent all other issues that may arise during old age.